Daun duduk has Latin name: Desmodium triquitrum are generally found in indonesia. Habitat: Growing in the open with enough sunlight, a little shade and not so dry in the lowlands up to 1500 m above sea level. Description of the plant: Plant shrubs, approximately 3 meters high. Woody stems, round edged, rough surface, approximately 2 cm in diameter brown. 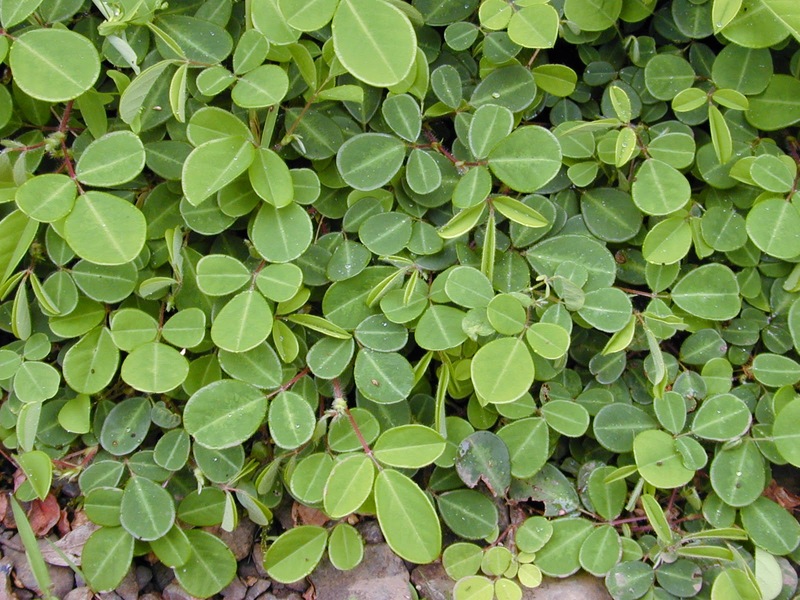 Single leaf, alternate, shaped, 10-20 cm long, 1-2 cm wide, reinforced pinnate, brown young leaves after dark green. Shaped compound interest began to grow at the end of the stem, crown-shaped purplish white butterfly. The fruit pods, each of 4-8 seeds, young fruit is green, dark brown after. Fresh duduk leaf 6 g; Fresh leaves kecibeling ( Strobilanthes crispus ) 3 g; Fresh herbs cat's whiskers/kumis kucing plants ( Orthosiphon aristatus ) 6 g; Water 115 ml, Made infusion, Drink 1 a day 100 ml. 7 pieces of fresh duduk leaf; 2 pieces of fresh betel leaf; 1 handful fresh herb gotu kola; 5 kunci pepet rhizome ( Kaempferia rotunda ); 1 cup water, contused, To rinse 2 times a day; morning and afternoon; every time 1/2 cup. Fresh duduk leaf 6 g; 100 ml boiling water, brewed, Drink 1 a day 100 ml.